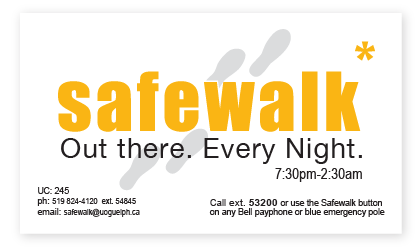 Safewalk’s logo needed an update in 2012. The vector that was being used had been drawn using the Illustrator “Trace Image” function and was rather sloppy and didn’t render well on small scale print jobs. 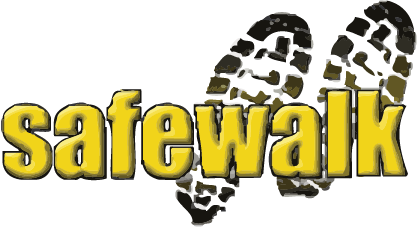 When starting to redesign this logo (which had featured some version of footprints for years) I was struck by the fact that the logo seemed to be depicting standing rather than walking. 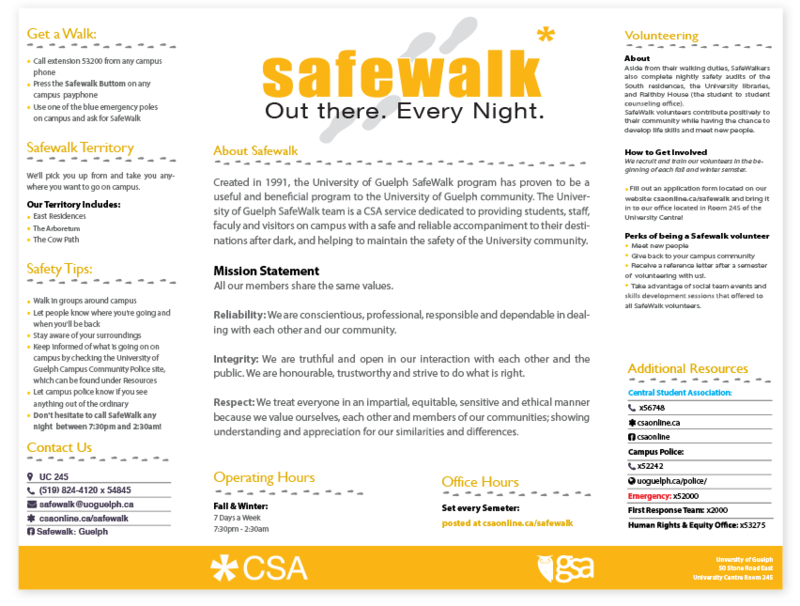 As such, the new logo features four footprints rather than two.